Today's the 150th anniversary of Sir James Matthew, Baronet Barrie, a Scottish journalist, playwright and children's book writer. He was born in the village of kirriemuir in Angus. From the beginning his life was marked by tragedy. He was the ninth child of a weaver who grew up in the shadow of an older brother, David, his mother adored golden boy, who was killed on the eve of his 14th birthday in a skating accident. 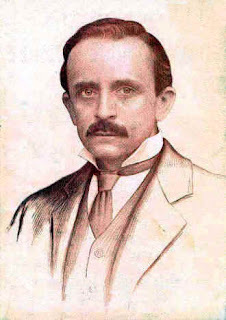 In 1894 he married the actress Mary Ansell. The marriage was childless and ended in divorce. However, he was friends with Arthur and Sylvia LLewellyn Davies, and when they died, he became the legal guardian to their five sons. 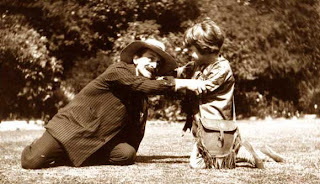 He became world famous with his play about Peter Pan (1904). It's the story of a boy who lived in Never Land, he had a war with Captain Hook, refused to grow up and created his own world of Indians, pirates and fairies. The first name of Peter Pan was almost certainly taken from Peter Llewellyn Davies (1897-1960), one of the several Davies brothers that Barrie knew. He brought to life the myth of the perfect boy who never grows up, who can fly out of danger and yet for whom death would be "an awfully big adventure". 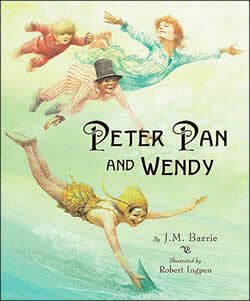 Barrie retold the play in narrative form as "Peter and Wendy" (1911) because he wanted his creation to benefit youngsters as much as possible. Barrie donated his rights to the Great Ormond Street Hospital for Sick Children in London. • Fantastic post. It is good to know how great people was. 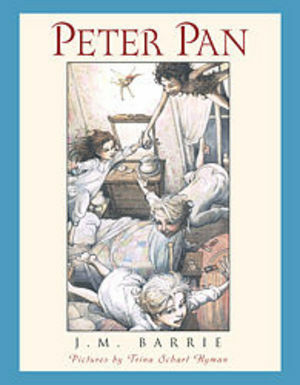 I see, Peter Pann's author was a very generous person. 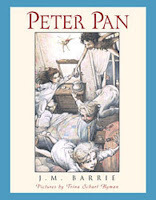 • I like Peter Pan. I wanted to be like him. Maybe I am.